While Mother Nature is trying to figure out whether she wants to make the snow fall, wind blow or rain drop, help bring spring in with these DIY décor ideas that are simple and pretty. Enhance your door with a floral wreath. This is inexpensive, fun and simple! All you need is a floral wreath form, ribbon and 12-15 bundles of faux tulips (although any flowers work). Wrap the ribbon around the wreath form, overlapping it as you go to create pockets you can tuck the flower stems into. Cut the stems from the bundle and begin tucking them into the ribbon. Add flowers until the wreath is full and add a ribbon so it’s easy to hang. An easy-to-follow tutorial is located here. Fresh fruit is an easy and economical way to bring in a spot of color – plus, it’s edible! You can keep a trio of glass vases on your kitchen island filled with lemons, lime and tangerines. Take a wire basket or wooden tray and fill it with red apples, oranges, bananas and a pineapple, or keep a wooden bowl on the kitchen counter with green apples to snack on. Find inspiration and lots of gorgeous ideas for using fruit in centerpieces here. Enhance your home by adding flowers throughout. Drop a colorful variety of flowers into a tall, galvanized bucket and place it on your doorstep. Grab a bunch of mason jars, tie a ribbon around each, fill with wildflowers and place one in each bedroom and bathroom. Take a clear vase, add river rocks and a cherry blossom stem, and liven up your living room. Fill a favorite pitcher with daisies for the kitchen table. 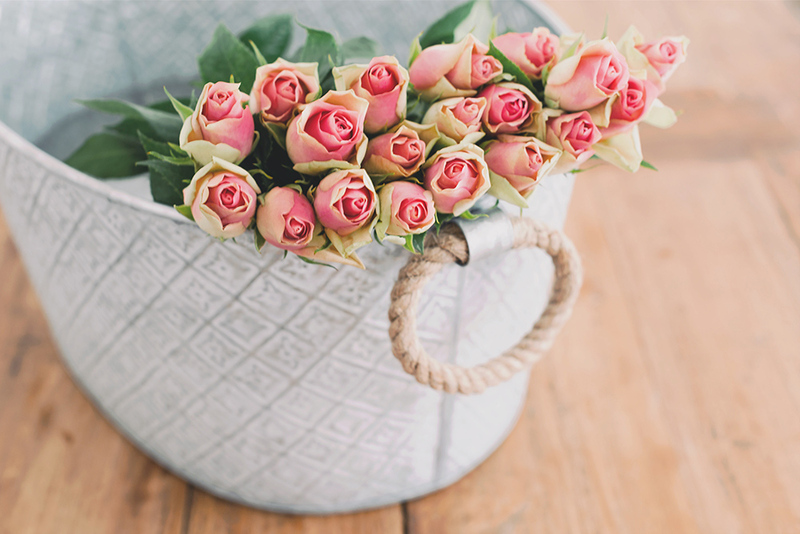 See some lovely flower arrangement ideas here! Try a Scentsy Warmer and fragrance! 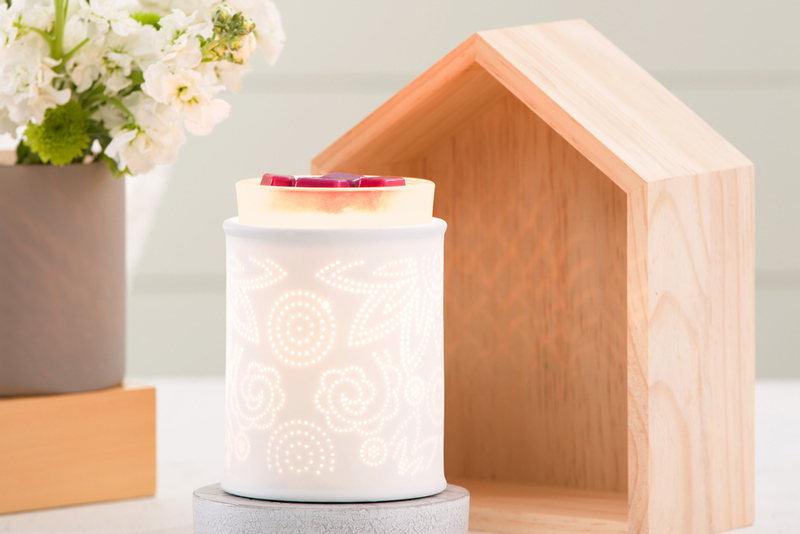 Up your home décor experience by warming spring favorites in a beautiful Scentsy Warmer. Our new Pinhole Paisley Warmer is adorable for the bedroom. Add some cubes of French Lavender Scentsy Wax for a restful sleep. Decorate the living room with the delicate Butterfly Atrium. Warming Berry of Paradise with its hints of strawberry, vanilla and bird of paradise will make it smell like spring! 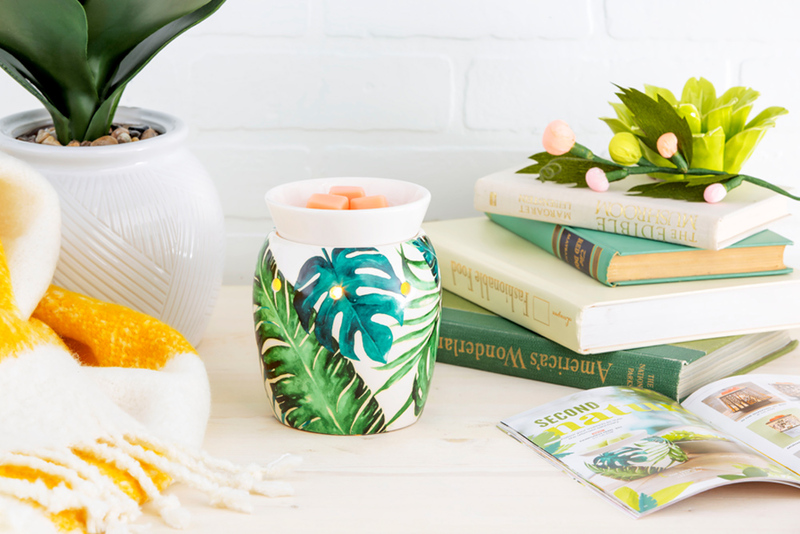 Add a spot of color anywhere with Rainforest Fern. Its fern-y goodness warming some cubes of Flower Child or Sweet Cucumber will cheer you right up! All these wonderful Scentsy products are available through your Consultant. Don’t have a Scentsy Consultant? Find one here! What is your favorite way to usher in spring? Let us know in the comments! Separator image Posted in Home Décor.